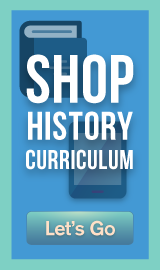 Find Your Homeschool Curriculum - Join 237,837 Families! 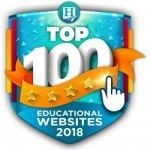 -- Select Subject -- All-In-One / Multi-SubjectArt & MusicElectivesForeign LanguagesFreebiesGeographyHistoryLanguage ArtsMathScience & TechnologySocial StudiesSmartPoints Rebate OffersSpecial NeedsTeaching ResourcesTest & AssessmentThinking & Other Skills	 -- Select Grade -- PreKK12PreK-23453-56786-891011129-12Adult	 -- Select Product -- ABCmouse.comAchieve3000ACTIVATEAdaptive CurriculumAlpha Omega 20% SaleAlpha Omega PublicationsAnalytical GrammarAnimation-ishApologia Bible StudyApologia ScienceBethlehem BooksBrainologyBrainPOPBrainWare SafariBrave WriterBright Ideas - History & ScienceBright Ideas Press GeographyBritannica Digital LearningCatchup MathCatchup MathCathy Duffy's 102 Top PicksCCC! - National Geographic Online StreamingCCC! - BBC History Online StreamingCCC! - Disney Online StreamingCCC! - Dr. Seuss & Friends Online StreamingCCC! - Focus on Health & Life Skills Online StreamingCCC! - National Science FndtnCCC! - Shakespeare Online StreamingCCC! - SmartMath & StarMath Online StreamingChessKid.comChester ComixClifford Science ClubCodaKidCodeCombatCodeMonkeyCodeREV KidsCompass ClassroomCompuScholarCTCMathCTL ChromebookDigital Theatre PlusDiscovery Education K-8 Science TechbookDiscovery Education Math TechbookDiscovery Education ScienceDiscovery Education Science High School TechbookDiscovery Education Social Studies TechbookDiscovery Education Streaming PlusDiscovery Education Streaming Plus FREE TrialDIY Desk CalendarDoodleMathsDreamBox LearningDriversEd.comDyslexia GoldEdOptions AcademyEducationCityeMedia Music AcademyeMedia Music InstrumentseTAPExplode The Code OnlineFab@School Maker StudioFascinating EducationFieldTripZoomFix It! GrammarGeoMattersGet Smart Digital ProgramGinger SoftwareGrammar In A NutshellGrammarActiveGrammaropolisHands-On EquationsHearthSong SP RebateHELP MathHighlights - MathmaniaHighlights - Thinking SkillsHighlights - Travel AdventuresHighlights - Which Way USAHistory Bombs ClassroomHMH ElectivesHMH History and Social StudiesHMH History and Social StudiesHMH ScienceHome Art StudioHome School In The WoodsHomeschool Diploma TemplatesHomeschool ID CardHomeSchoolPianoHorizonsHuman Body Detectives - ElementaryHuman Body Detectives - Middle/High SchoolIn the Hands of a Child Build Your Own BundleInstitute for Excellence in WritingiStartStrongIXLJim Hodges AudioKaplan Online Test PrepKids Guitar AcademyKumon BooksLabsterLearn Math Fast SystemsLearning AllyLearning Style AssessmentLearning Wrap-UpsLeVar Burton Kids SkybraryLIFEPACLiteracyPlanetLitWitsLitWits Individual KitsMaestro ClassicsMakeCrateMango LanguagesMapping the World by HeartMark Kistler Draw3DMaster BooksMath in FocusMath MammothMath WhizzMathCloudMathHelp.comMathseedsMCP MathematicsMCP Plaid PhonicsMeet the MastersMeister CodyMembean VocabularyMiddlebury InteractiveMindPlay Virtual Reading CoachMindprint LearningMonarchMusicLearningCommunity.comMUZZYMY Access!MyBoardSharemyON SubscriptionMystery of HistorymyWorldNessy.comNotgrassOcean First EducationPLATO High School SciencePLATO Lang ArtsPLATO Math - High SchoolPLATO Math - Middle SchoolPLATO Middle School ScienceProgeny Lit Guides (Print)Progeny Press PDFsQ WunderQuick Start CarschoolingRand McNally World AtlasReading Assistant PlusReading EggsReading HorizonsReading StreetReadoriumReal Science-4-KidsRedbirdRightStart MathematicsRosetta Stone Homeschool OnlineSara Jordan Bilingual Kid SeriesSaxon HomeschoolScience Sidekicks and Science StartersScienceFusionShakespeare In BitsShillerLearning: Test PrepShmoopSigning OnlineSing, Spell, Read & WriteSmart ScienceSmartTutorST MathStarry NightStudy IslandSupercharged ScienceSwitched-On SchoolhouseTaken Charge - Core Tech SkillsThe Classical HistorianThe Classical Historian OnlineThe Great Courses PlusThe Quarter Mile MathThinkCERCAThinkwell MathThinkwell ScienceThinkwell Social StudiesTime4LearningTimes TalesTouch-Type Read and SpellType To LearnTyping PalTYSC Monthly SubscriptionTYSC Science-Art FusionTYSC STEM CollectionsuHandy MicroscopeUltimate Science CurriculumUzinggoVeritas Press Self-Paced Online CoursesVideoText Interactive OnlineVisualize World Geography OnlineWeaverWhistlefritzWhy Homeschooling ROCKS!Woodwind & BrasswindWord Voyage Vocabulary & GrammarWordBuild VocabularyWordly Wise i3000Words and Their StoriesWorld and IWorldView SoftwareWorldView SoftwareYay Math! 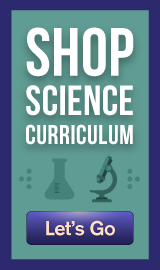 ALL CURRICULUM Why Join? What's Coming? NEW! LAST CALL! Curriculum under $40 All-In-One / Multi Art & Music Cathy Duffy Top Picks Early Learning Electives Foreign Languages History & Geography Language Arts Math Science & Technology Special Needs Social Studies Teaching Resources Test Prep/Assessment Thinking & Other Skills FREEBIES! Summary: Age Range: All (All grades; children with parental supervision). This large YouTube Playlist pulls together an assortment of musical renditions of songs from the colonial and revolutionary times in America. Description: Many of the videos present the music played with similar instruments traditionally used during the time period and some videos are from a variety of re-enactment fairs or locations. Because this is a playlist and a selection opens in a new window, once you have watched the video, use the left-hand side list to either return to the playlist page or select another video in the collection. Please be aware that video suggestions under the playlist on the video page may contain content that may not be appropriate for your family, so it may be best to monitor use of this page. Please also note that because the list currently contains 270 videos and is added to regularly, we were not able to view every video, but the ones we did select were fine and quite pleasant. Parents should always preview any YouTube video prior to allowing children to view them. This playlist could add a bit of interest to your history studies as well as provide an overview of what colonial American music was like. © 2005 - Homeschool Buyers Club, Inc. (DBA Homeschool Buyers Co-op) All rights reserved. SmartPoints®, and GroupBuy™ are trademarks of the Homeschool Buyers Club, Inc.